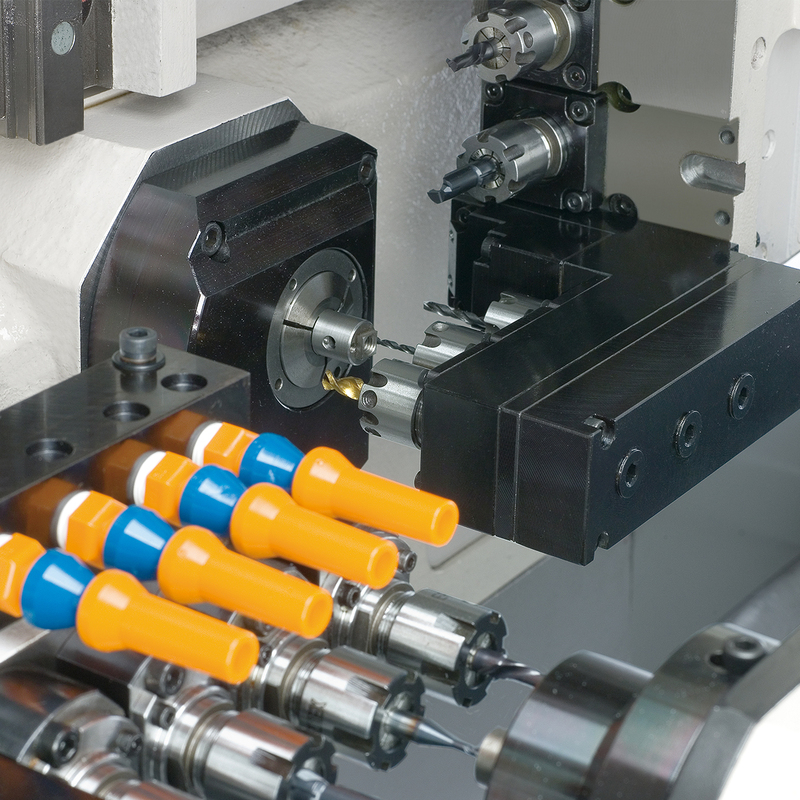 The sliding head turning centres of the Goodway SW series provide up to 9 axis control and 4 axis coordinate motion to perform complex work operations for micro and precision parts. 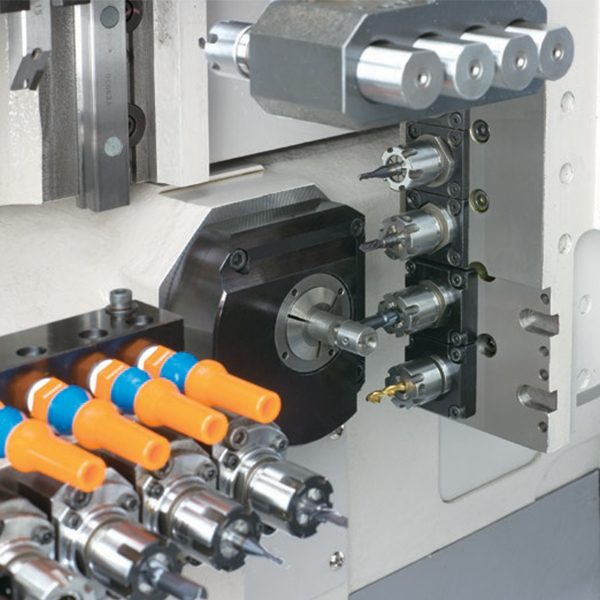 Complete tooling systems satisfy front, rear and side processing requirements. Flexible multi task standard and optional functions provide the SW series with powerful processing ability. 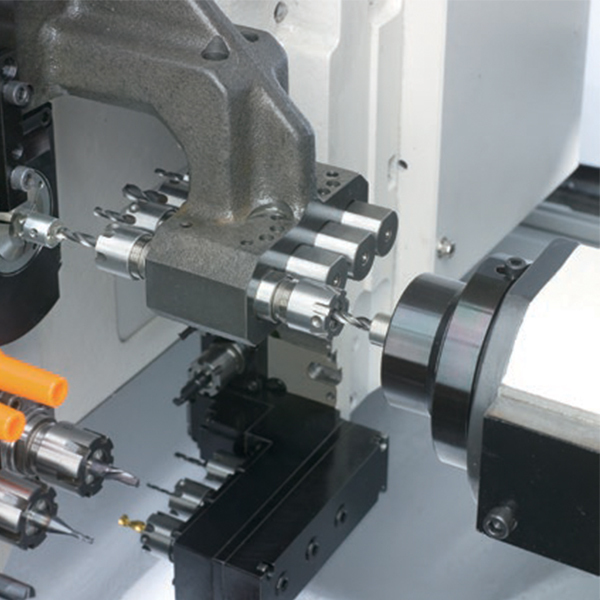 Optional tooling allows the SW series to perform numerous complex operations such as deep hole drilling, hobbing, slotting, thread whirling, polygon turning and the use of angle head driven tools. 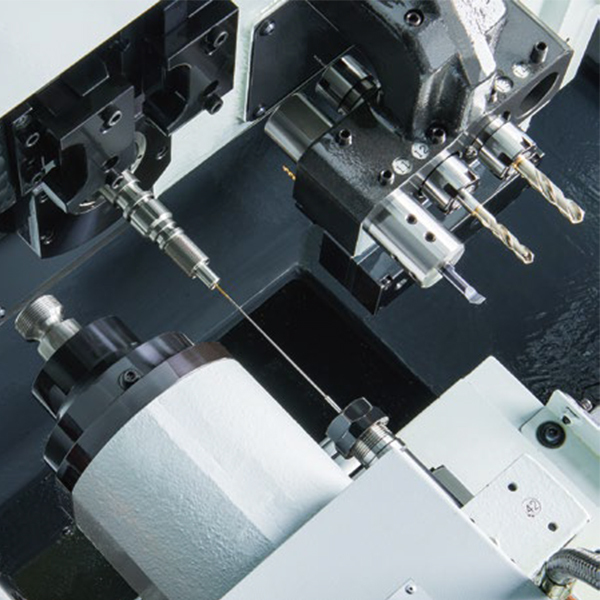 The built in spindle design reduces centrifugal force effect and restrains spindle vibration, which increases the spindle life span and improves long term machining accuracy. The SW series feature a high precision built in sub spindle design. Movement of the sub spindle is applied with high speed linear guide way which provides rapids of up to 30 m/min. 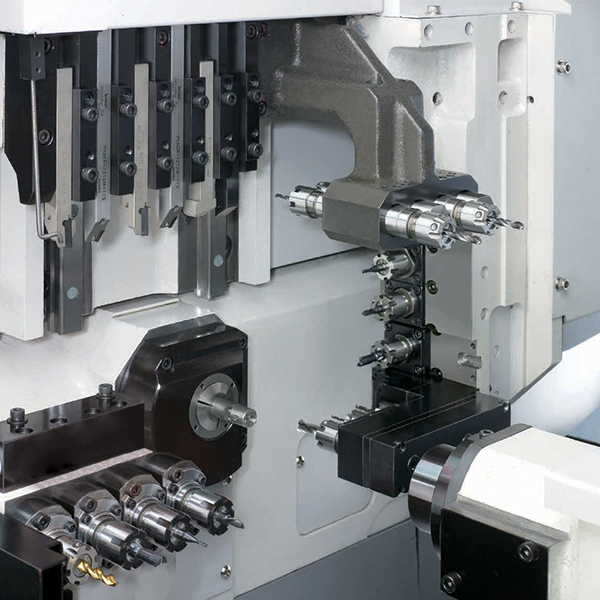 Working with the live tooling and 0.001 high resolution C axis enables the machine to perform multiple tasks such as drilling, tapping and milling operations, including cylindrical and polar coordinate interpolations.